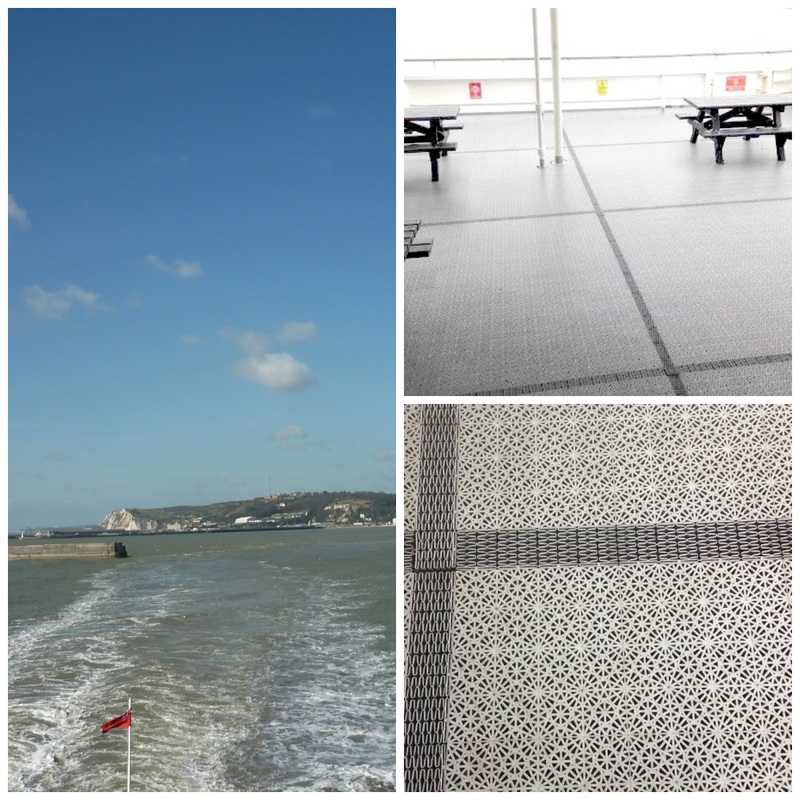 Older Single Mum: Our Ferry Trip to France with DFDS Seaways. 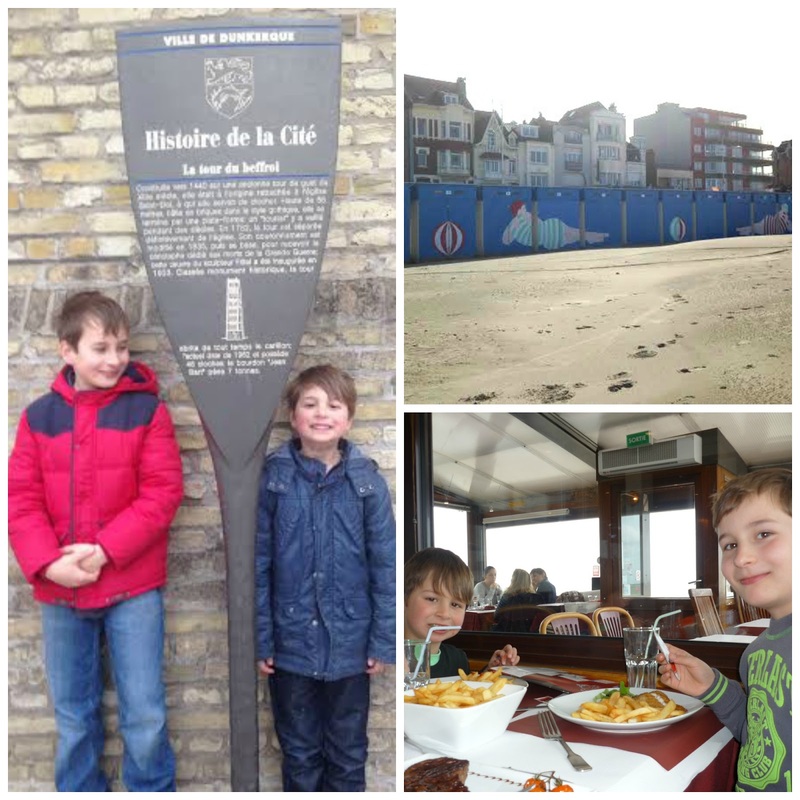 Our Ferry Trip to France with DFDS Seaways. If you ever travel by boat, it's wise to make more than a mental note of the clearly colour coded and numbered deck that your car is parked on, especially before you play several games of Uno with your kids to while away the crossing - a card game comprised of only colours and numbers which will serve to befuddle your brain - so that when you come to claim your vehicle at the end of the journey, it will not be where you thought it was. You may end up on the wrong clearly coloured deck on the wrong numbered level, with your children worrying, you nervously laughing, faking bravado for them while asking the crew to find it for you, which is easily done because someone on their radio will be asking where on earth the owners of the little blue number right at the front of the ferry. You know, the ones with the first-on (supposedly) first-off priority boarding privilege. 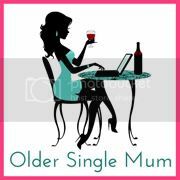 That will be us then. And a cracking start to our little sojourn.........lots of games of Uno ;). 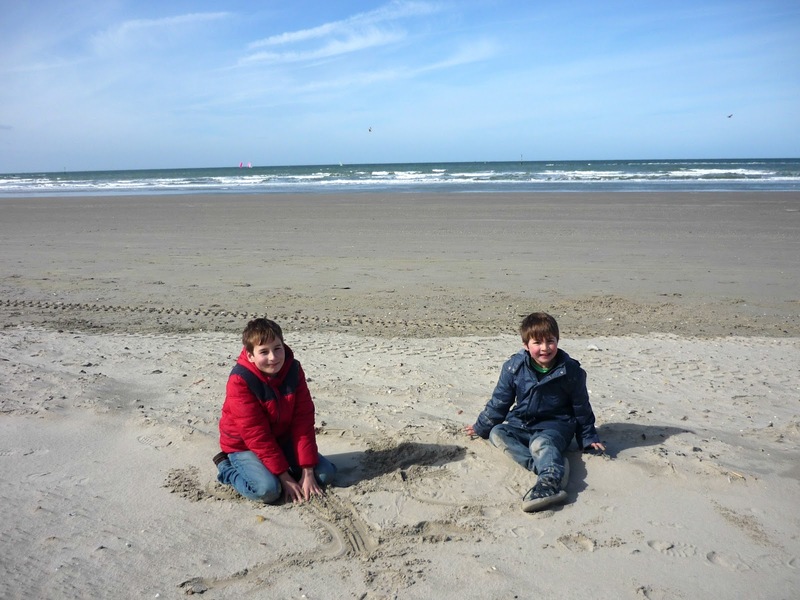 So what were we doing and what did we think of our ferry trip to France with DFDS Seaways? Aside from being gracious in the face of an anxious woman with her children on their first time as a family heading towards unfamiliar territory, they've been voted the World's Leading Ferry Operator for the last four years running. I only know this because, as we drove on board at Dover we passed a great big hoarding advertising this enormous achievement. Not being allowed to photograph it because you need a special Harbour Licence (*hastily deletes all inadvertent snaps taken before this information was gleaned*) and feeling it was a bit wasted there - seen only by the people having already committed their cash, I thought it deserved a proper mention here. Image courtesy of the World Leading Ferry Operator for the last four years running. 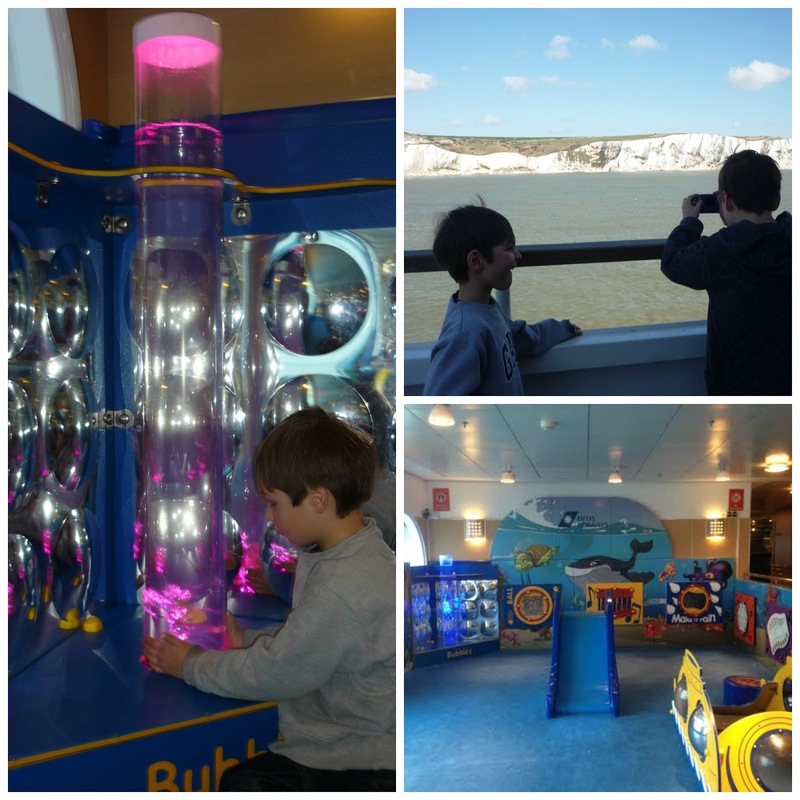 The crossing is very short - only two hours from Dover to Dunkirk - but there's lots to keep the children amused for the duration anyhow. We were blessed with a beautiful day on the way over, so they mostly ran around on deck, but there is a 'Little Nippers' play area (for up to age six or 1m height) which the youngest explored and, next to it, a Cafe Bar with TV Lounge, which the eldest enjoyed before we all settled down to play cards (*cough*). First and foremost, though, we had to hit the shop and buy all the kit legally required for driving in France. This took about five minutes, but it's hard not to be sidetracked by all the brilliant savings on the beauty products - from fragrances and make-up to skincare. There's also jewellery, toys and games for travelling, maps and information books, newspapers and magazines as well a selection of stuff you might have forgotten to pack, plus plenty of beers, wines and spirits at lower than UK prices. But the best bit for us as a family was the size of the ship. It feels very spacious - not so big that I had to keep the children close to me - yet large enough so as not to induce seasickness. Seeing as the eldest, who usually suffers when travelling, was ill on the way over from Sussex to Kent during the car journey the previous day, this is really not insignificant! We felt fine, even on the return crossing when the weather was rather more rainy and we couldn't be outside for much of it. There are three eateries - a restaurant as well as La Veranda cafe bar (below) and a Food Express, offering a variety of different options, catering for all tastes. There's certainly no shortage of choice and there were no queues. There is also an upgrade option of entry into the Sea View Lounge at a supplement of £8 per person each way, from which children under 8 years old are excluded. All in all, our experiences of the Dover Dunkirk crossings were very pleasurable, positive ones. At only £39 per car with up to nine passengers for a return fare, travelling to France by Ferry can be a really reasonably priced option for a family holiday. There is a link to recommended accommodation in all the ports on the DFDS Seaways site, which I'd managed to overlook, such was the short notice in which this break was booked, so we took pot luck in a Budget Hotel, which was brilliantly located and friendly, but the size of a box and incomparable to the one we'd stayed in at Dover, so I would recommend staying somewhere that has been endorsed by the experts. '....We shall go on to the end. We shall fight in France, we shall fight on the seas and oceans, we shall fight with growing confidence and growing strength in the air, we shall defend our island, whatever the cost may be. We shall fight on the beaches, we shall fight on the landing grounds, we shall fight in the fields and in the streets, we shall fight in the hills; we shall never surrender... ' Winston Churchill. We took some time to honour those who had fought for our freedom as the children played. It seemed important and appropriate to do that, but we gave the War Museum a miss for now - until the boys are older. In better weather, these beaches must come into their own and it's no wonder that they are popular with kite-surfers, sand-surfers and wind-surfers. And, of course, the food in France is always worth the trip to get there. It's the only place I've ever drunk wine that actually tastes of grapes and we were able to indulge in exquisite long lunches that met my high expectations. As a bonus, too, with the Euro exchange rate at 1.30, they were much cheaper than they would be at home. There are up to 12 sailings per day and Priority Boarding is £10 per car each way, but beware of an overwraught single mother who's forgotten where she's parked. (You don't get stuck behind somebody so silly, by the way, you just drive around their car). Little did we know that getting lost on board at the outset might be an omen of things to come once we'd been let loose on the roads in France (and Belgium, as it happens) and that trying to navigate roundabouts in the wrong direction, plus having huge lorries thundering past in what would normally be an inside lane would take a bit of getting used to, but that's a story for another day......! Disclosure - We were provided ferry crossings to and from France for the purposes of this review but (unless otherwise specified) all words, opinions and pics are my own obvs. We've sailed with DFDS a few times and always been really happy with the service. It's often cheaper to sail to Dunkirk than Calais too. Oh and we've all been there forgetting where the car is parked. It's when people are having to swerve around you, bibbing furiously you have to worry! I've not heard of DFDS before, but then I have only sailed on a ferry twice in my life and one of those times I was 12 years old! The prices sound really reasonable Anya and I hear good things about Dunkirk. I've never heard of DFDS, but then I always take Eurostar because we live so far away from Calais. Sounds a good option though if you live nearer. I LOVE getting on a ferry because you know you will be on holiday soon. In fact, the holiday starts on the ferry. Hope you had a good trip! Losing the car is absolutely something I would do, no doubt about it! Glad you had a lovely time and that the weather was better than it had been a day or two before! I have lost cars in car parks lots of times so can see me doing something very similar to you on board! Haven't been on a ferry for years, but always found them quite fun as long as it wasn't too rough. Must get us all passports so we can give it a go as a family! I remember on a school trip once we all ended up on the wrong deck trying to find our bus. Seems the teacher told us the wrong information. Try getting a whole school trip of children, against the flow of everyone else, to the right part of the ship! As a kid I loved ferry journeys - really must try and work out how to take my two on one whilst they're still young. Great post, thank you. I never really think about going by Ferry but at that price, I might just try it! It was a new thing for us too, but we'll definitely do it again! Thank you Liska. It's my new thing, travelling by ferry now! Thanks Izzie - and yes, I kind of assumed they would be used to it - they were very kind! I have such brilliant memories of getting then error across the Channel as a kid! I have only done one ferry crossing in my life - a long time ago - and cannot say I remember much about it! Looks really good Anya! and the boys smiles! Being a non-driver, I'm even more jealous that a holiday or trip abroad can be done so easily.I think many forget that a ferry is an option rather than flying. I may have forgotten once where I parked my car coming out of the supermarket! 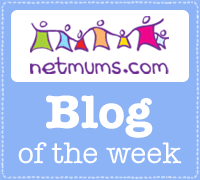 Such an informative post with great tips - (like don't play Uno). I love a ferry journey there's always something thrilling about it that the tunnel doesn't give you and my girls always love being on a ship too. I'm dying to get back onto a ferry after reading this! I have very fond memories of family trips on board - they're a great, relaxing way to start a journey (unless you lose your car, of course. I bet that was hideous!). Looking forward to reading more about your travels.